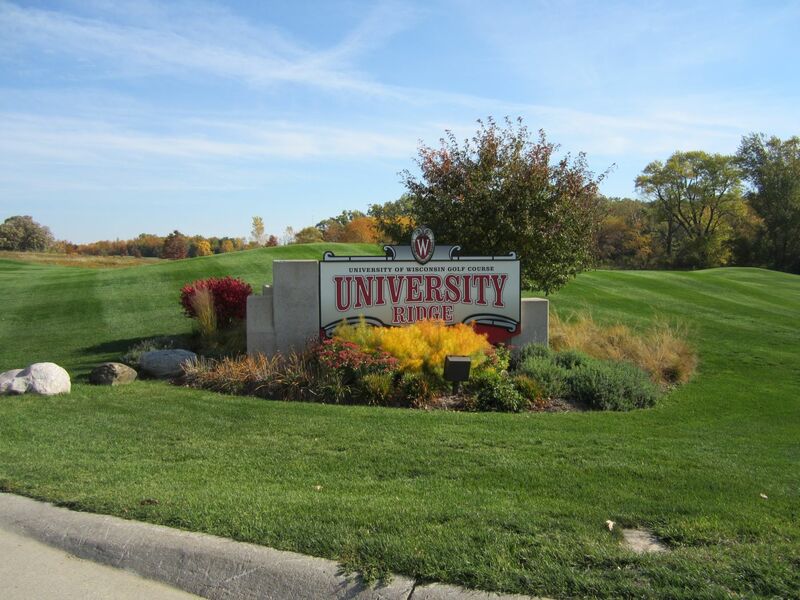 Home of the Wisconsin Badgers golf team, University Ridge features some of the most remarkable golf holes in the state. Designed and built in 1991 by one the country’s most well-known and beloved course designers, Robert Trent Jones, Jr., the course sits atop a several million year old glacier. 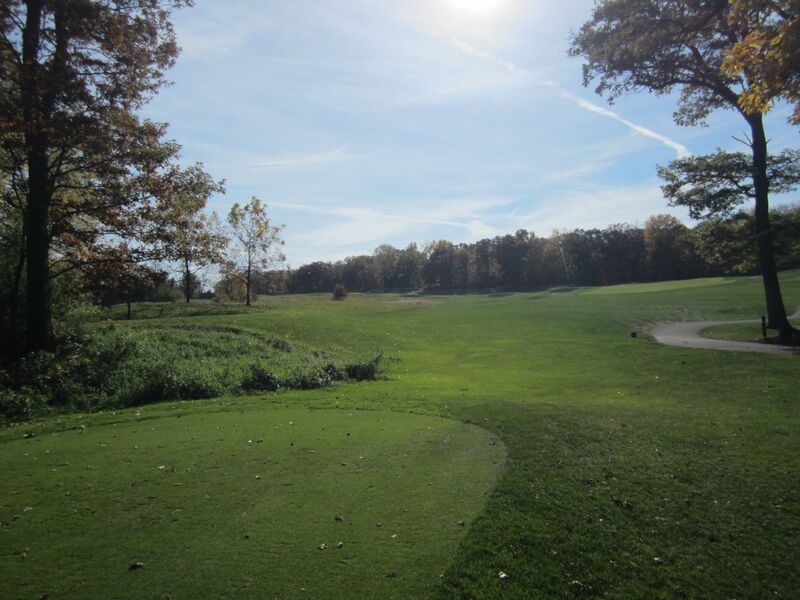 Located in the Verona suburb of Madison, the course winds back and forth, with huge elevation changes and tight tree lines. It is magnificently well kept, and features a gorgeous Frank Lloyd Wright style clubhouse where you can find anything University of Wisconsin golf related. The clubhouse also has an excellent bar area, where we were able to enjoy the climax of the Brewers/Diamondbacks National League Division Series with other rowdy Brewers fans. 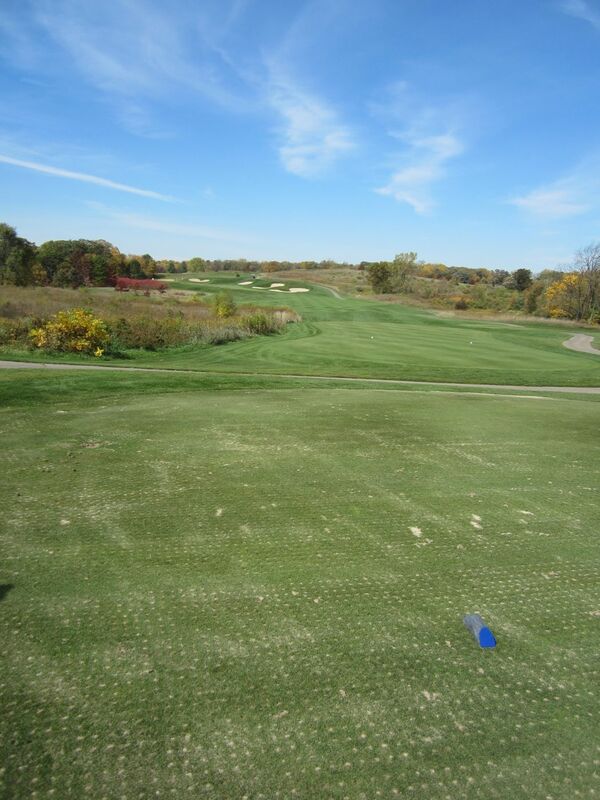 We played University Ridge on a Customer Appreciation Day, which I recommend whole-heartedly. For $60, you get all the golf you can play [including cart and range], as well as lunch and five dollars in clubhouse credit. The clubhouse sets aside many tee times during the afternoon to allow for these free re-plays, and pace of play is pretty quick as most golfers on the course are adequately skilled. 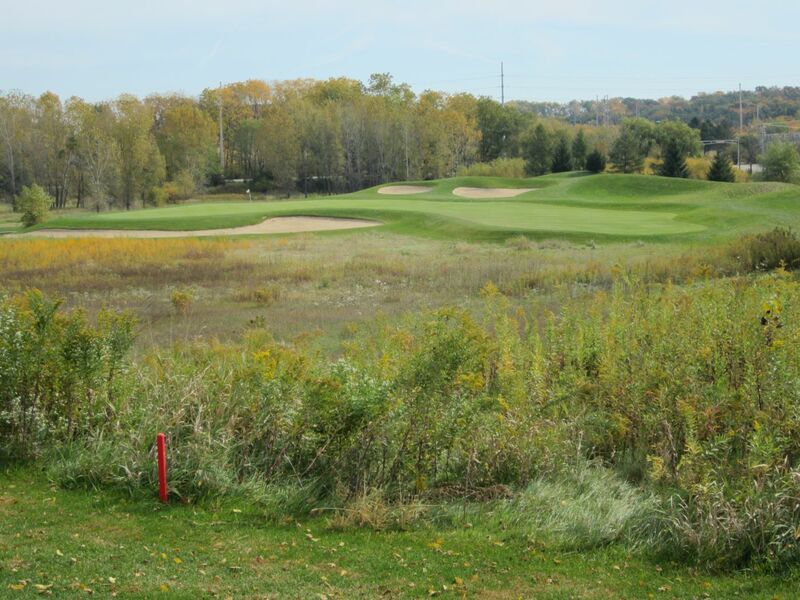 U-Ridge is the site of the annual Wisconsin state high school championships, as well as a number of other state-wide events, and it is easy to see why. 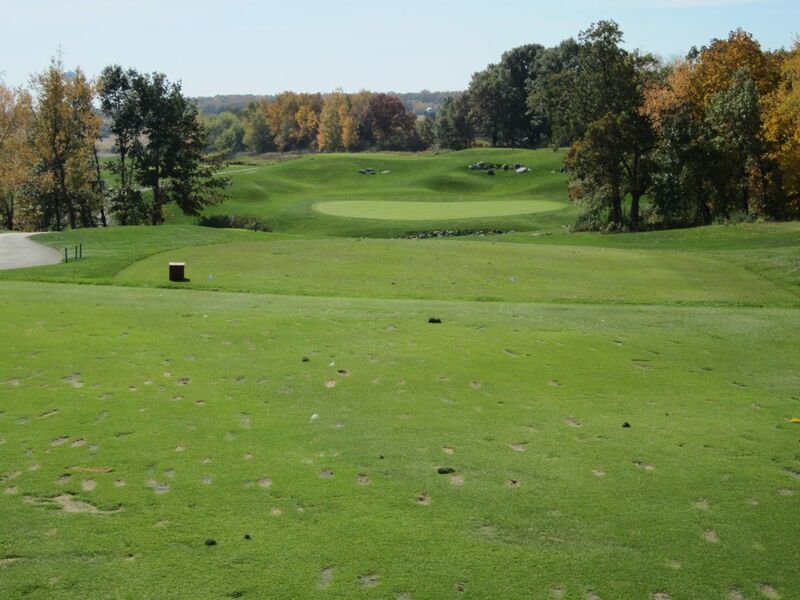 The course offers a great selection of tee boxes for a variety of skill levels, including tips that play at 7,259 yards. The blues are more suitable for my skill level, and still play at 6,610 yards. The drive in to U-Ridge is even well-kept, with outfield-like manicured lawns on both sides of the entrance. Perched above the first and ninth holes, the view from the clubhouse is spectacular, and the views on the course only improve. Their sand-based driving range is always maintained to allow for clean swings, and has well-placed targets to prepare for your round. The practice green is hilly, and gives a regulation feel for the putting surfaces. 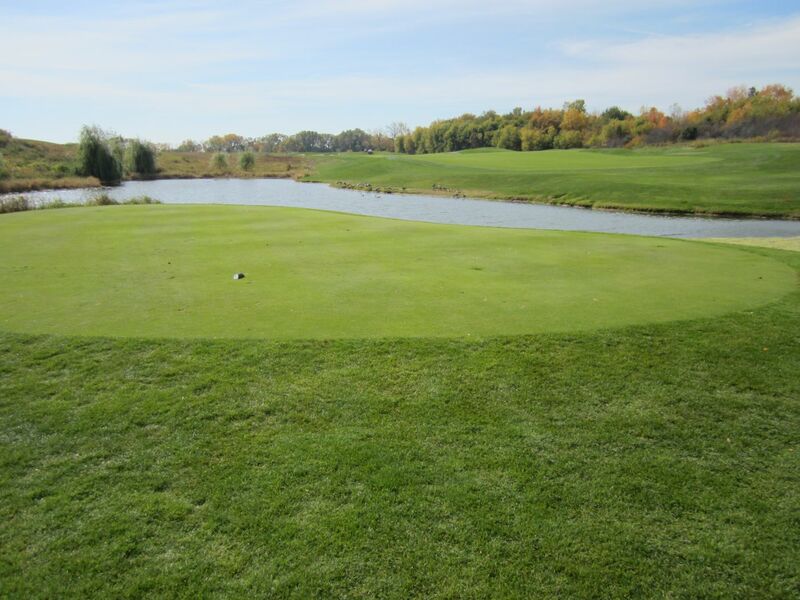 The greens are quick at University Ridge, so make sure to take advantage of their practice facilities beforehand, including the chipping and sand area. Some of the best holes at University Ridge hit early and often. One of my favorites of these is the par five second hole. 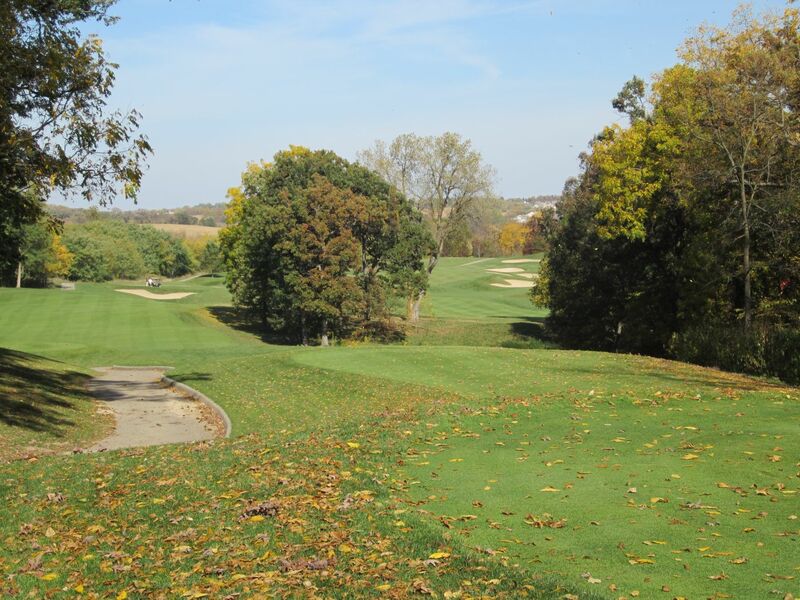 At 546 yards from the blue tees, the tee shot looks over a canyon to a wide landing area that juts straight right to a tree-lined lay-up area, or 200-plus yards of a shot over a huge oak tree, down hill to a green surrounded by huge sand traps. This is a spectacular par five, and would be a signature hole anywhere else but at University Ridge. 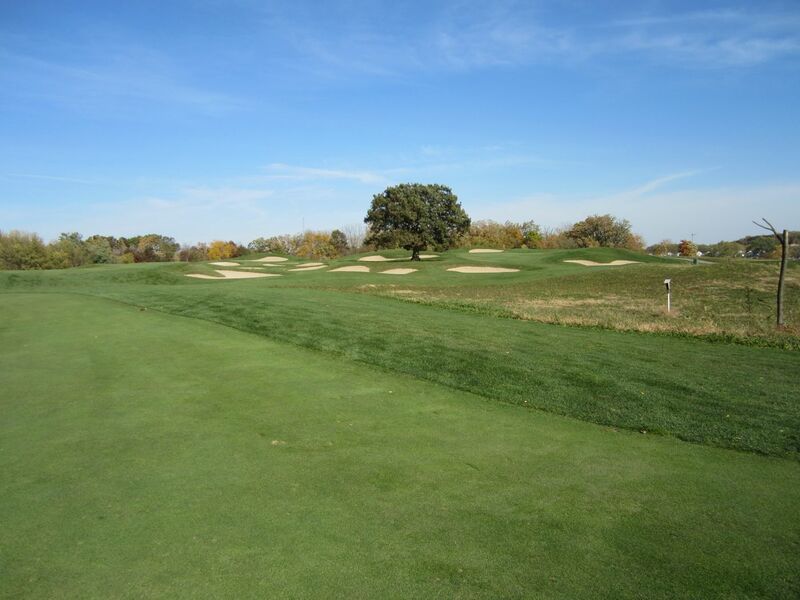 The par three third is another great hole: At 174 yards, the elevated tee boxes look over a low prairie land at a large elevated green perched above three sizable sand traps on a green that slopes significantly upward from the front to the back. A left-side hole location makes hitting the right side on your tee shot penalizing, but make sure to take a lot of slope into account when reading your putts. 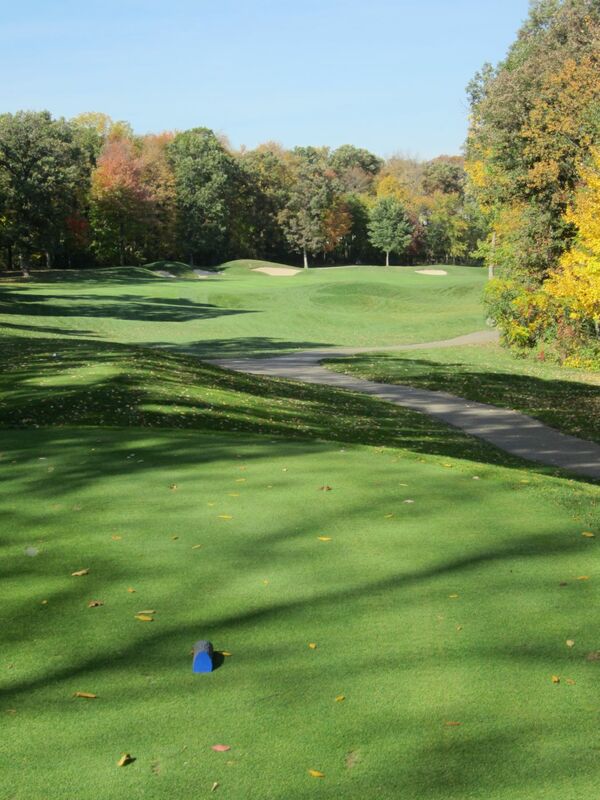 More than anything, avoid going left of the green on your tee shot, which will typically result in a lost ball. The great layouts continue on the fourth hole. With a tee shot over water, a cut drive is necessary to give yourself a chance at the uphill approach to an elevated green that requires at least a club or two of extra distance to reach. The fifth is a fun par three. High above the green, the green-side sand traps are absolutely brutal, but the majority of them should be out of reach with a well-struck 8- or 9-iron. This green runs very true, especially from the left side, which is comforting when standing over a 40-foot-plus first putt. 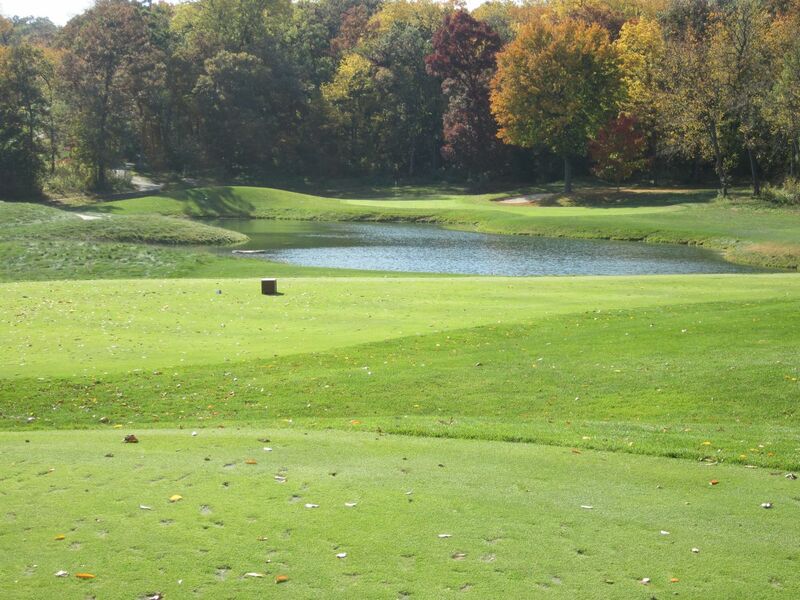 Six is another of the course’s true signature holes. 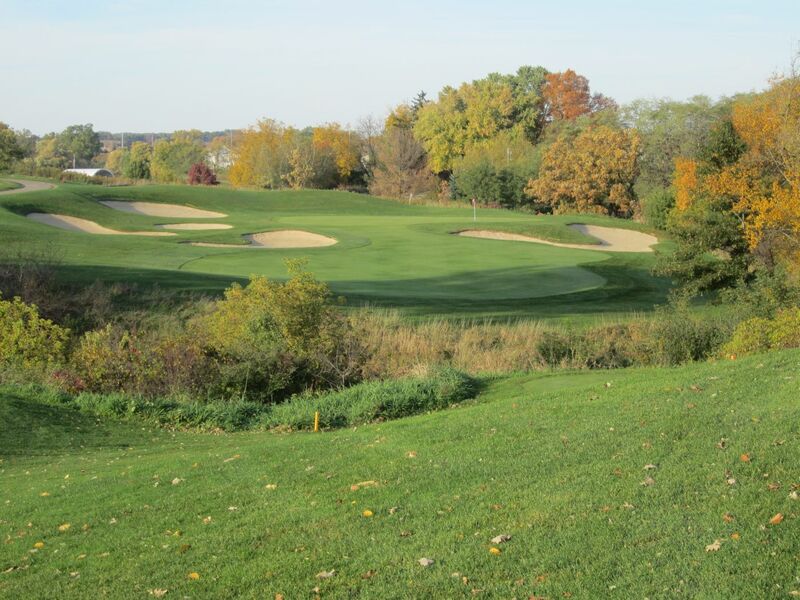 At 623 yards from the tips, or 570 from the blue tee boxes, the tee shot is fired over a winding river that stays within reach along the left side of the fairway. 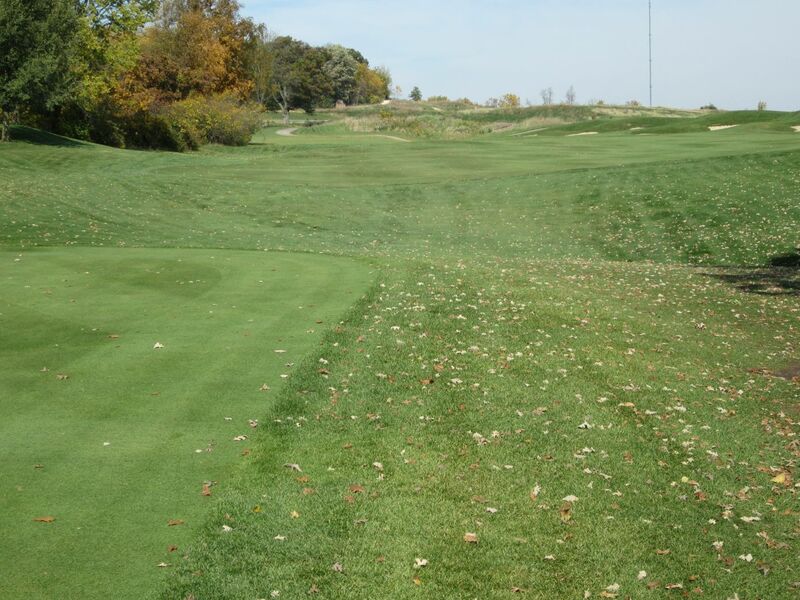 It is tempting to try cutting the natural grasslands on the left, but requires one heck of a drive to clear. Aim for the fairway and cut your losses – you will find more than enough trouble around the green! The green is surrounded by massive sand traps, which swallow up any and all errant approaches. They look gorgeous on the course, but are so deep that getting out of any of them, especially the front-left bunker, is tremendously difficult (not to mention the green is not at all visible from within it). The seventh offers a bit of a reprieve after the sixth hole. It is plenty long, but is a nice driving hole that can get you close enough to try for the green. The green here is deceptively far away, as it goes considerably uphill and slightly to the left. Missing left will result in a penalty, so stay right if anything. 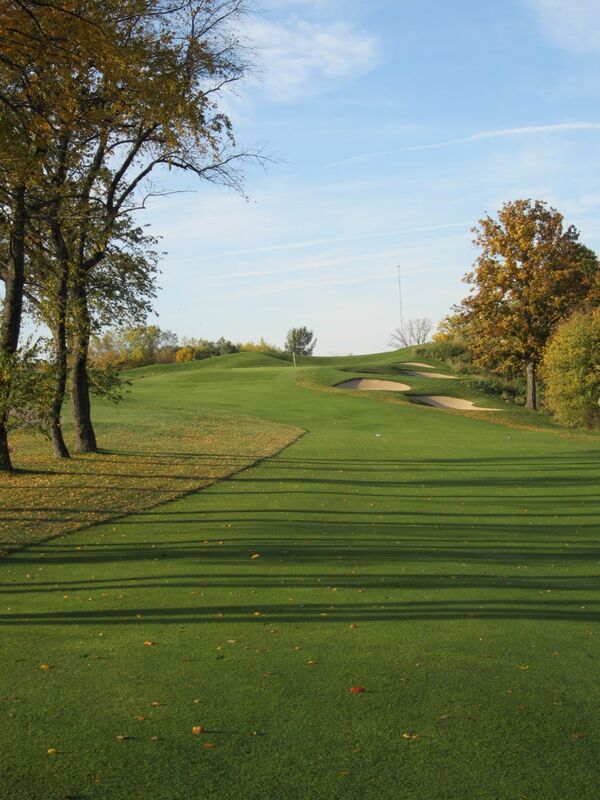 Eight is another great par three at University Ridge. 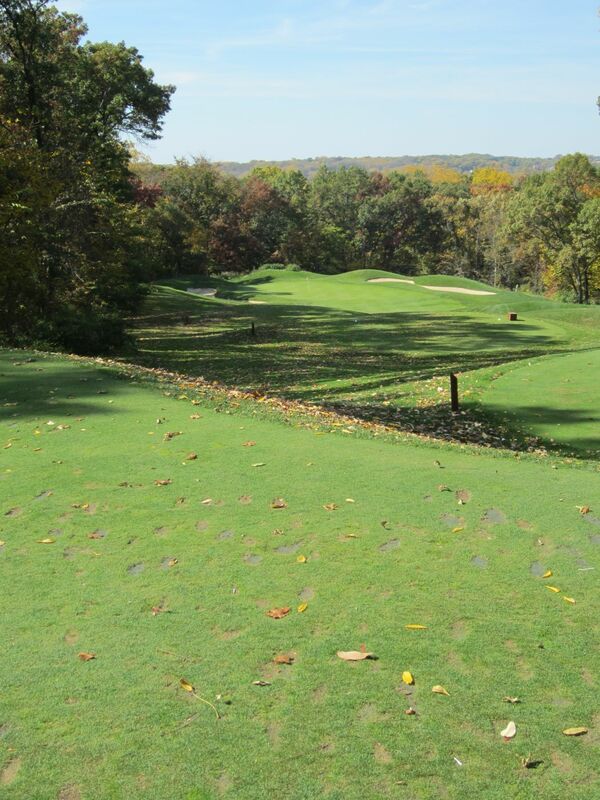 Played at 162 yards from the blue tees, the shot downhill plays much longer than expected. A small stream runs in front of the green area, and the wind always comes in to play. 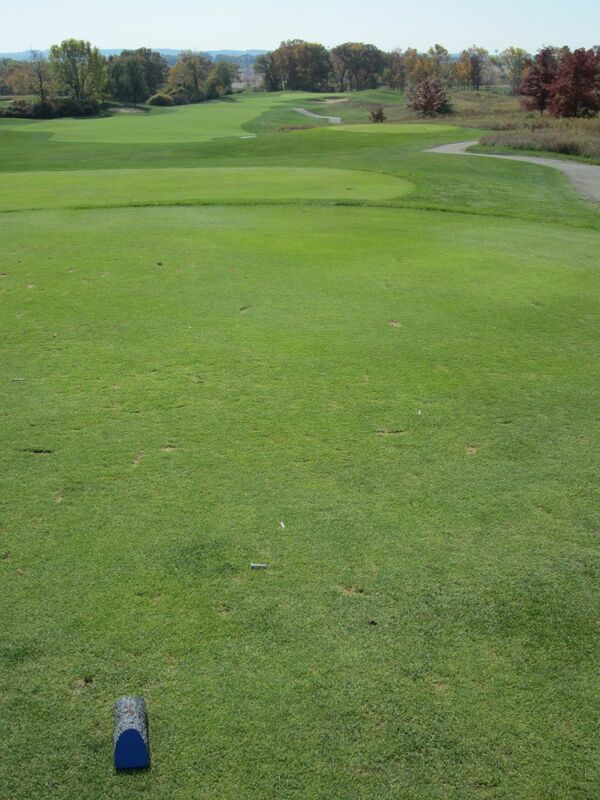 We were actually playing 4- and 5-irons on this hole yesterday, which was way more club than expected from 162 yards. The ninth is another scary hole. At 554 yards from the blues, the tee shot is quite misleading. From the tee boxes, the fairway runs slightly uphill, and then down, which gives the illusion of being much closer to the dogleg than you actually are. The landing area looks tiny and tight, but opens up as soon as your cart hits the fairway. Heading uphill, the fairway disappears and can create a more difficult approach shot than hoped for. The green is elevated well above the fairway, and sand traps on both sides are not visible on most second or third shots. This is a tough finishing hole on the front nine. Making the turn to the back nine, the course changes significantly. The woodlands-based back nine opens with a long, 424-yard par four lined by trees, and the slope of the fairway falls to the left. The minute green makes for a touchy approach shot. 11, 13 and 14 are all fantastic forest holes. 11 is a long par five, while 13 and 14 require a ton of driving accuracy and careful approaches. This area of the course actually reminds me a lot of the same stretch of holes at the Castle Course at Northern Bay. Precision and length is a must to avoid blow-up holes. When playing these holes, make sure you did not accidentally purchase Bridgestone E6 balls that are “optic orange” in color. I made this mistake yesterday, and had an awful time trying to find my tee shots in huge puddles of fallen leaves. 12 is a gorgeous downhill par three, as well. With sand traps running the length of the green on both sides, a good tee shot to the green is rewarded, while these traps can result in stressful shots to get to the putting surface. One of my favorite holes at U-Ridge is the par four 15th. 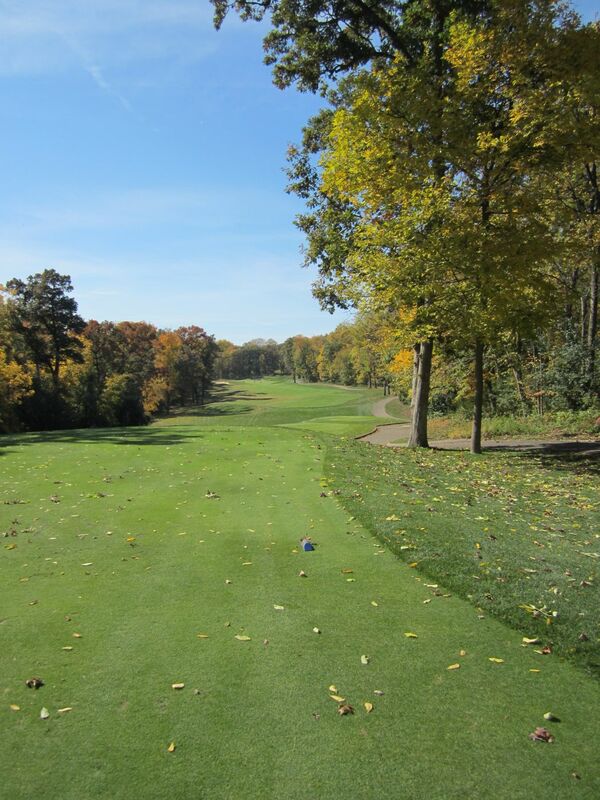 At 321 yards from the blue tees, the tee shot can be played with a long iron, fairway wood or driver. Use whatever club you can cut the best with acceptable length. Finding the fairway will give you a short shot to the green, but anything missed, or in the fairway bunkers, can make this hole absolutely hellish. A par on this short par four is always well earned. My favorite hole on the course, and perhaps my favorite par five I have ever played, is the 533-yard 16th hole. 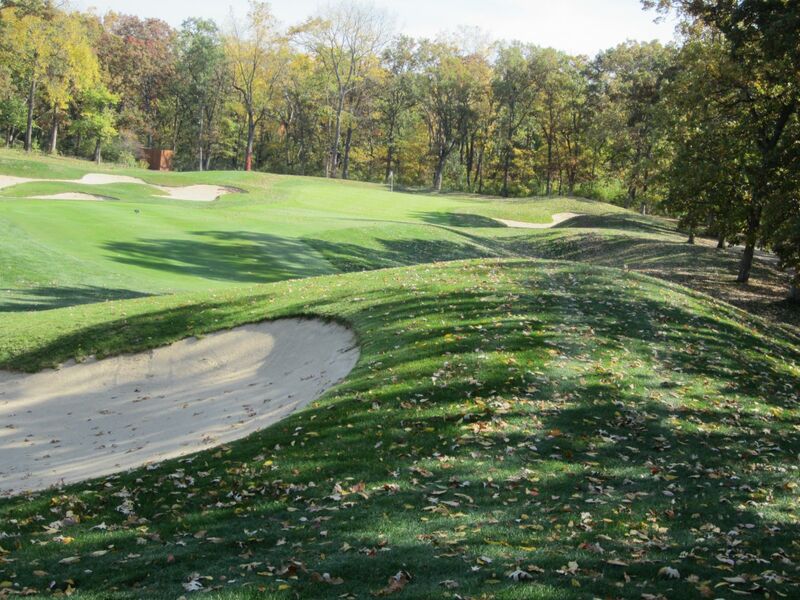 The layout of this hole is visually stunning, and the options it allows for is staggering. 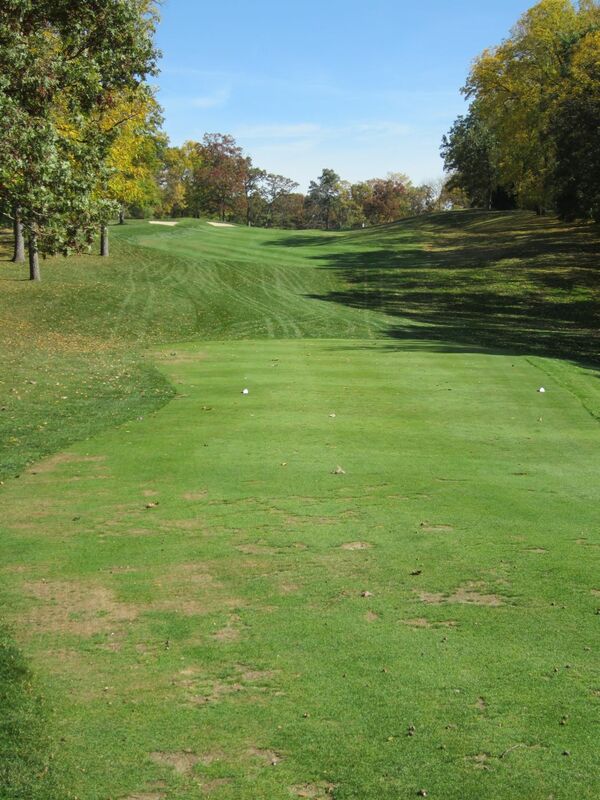 The elevated tee shot allows a decision between two fairways, one high and the other low. If you can drive long, aim over the massive oak trees that divide the fairways, and take your chances as to which one you will play from. The left side is higher than the right, and lengthens the hole considerably. After hitting this one, you will have the choice of playing another fairway on the left side, or trying for a long, demanding second shot over eleven sand traps. 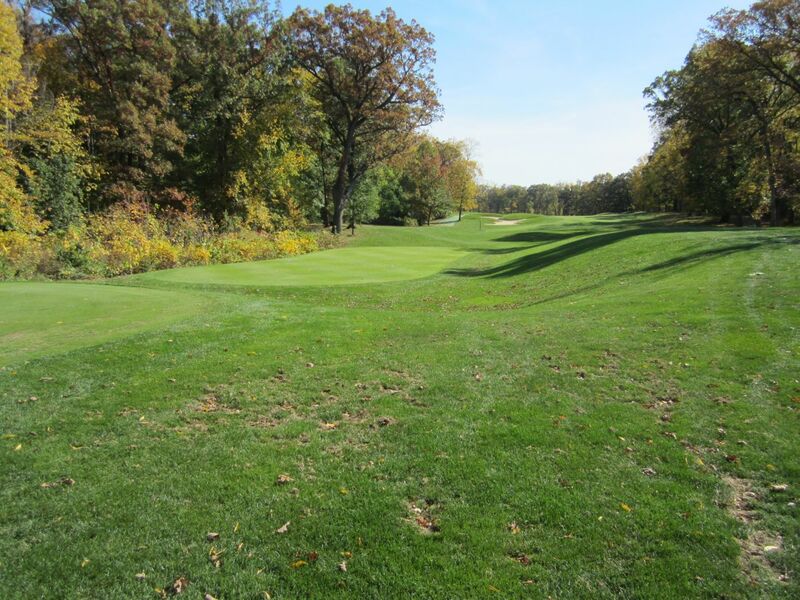 From the lower fairway to the right of the oak trees, another fairway is playable to the right and back of the green area. 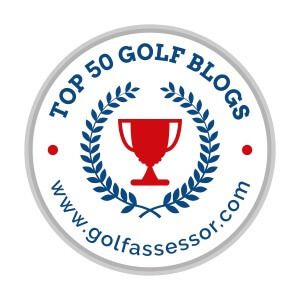 The smartest play is to the fairways, but if you find yourself within 200 yards off the tee, it is obviously difficult to avoid going for the green over the sand-laden approach area. 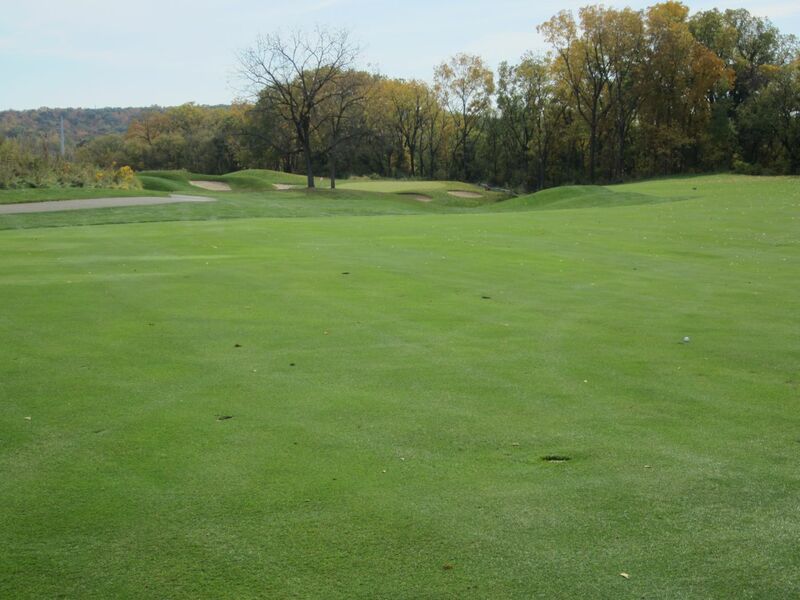 The green is divided by a large slope half-way through, and makes the finish of this hole harder than desired. 17 is one of the most challenging par threes I have ever played. At 250 yards from the black tees, more than 200 of this is over a huge pond. At 192 from the blues, there is some reprieve but will still demand a long iron or fairway wood. Accuracy is a must here – the green area is absolutely tiny, and the dead area to the left is merciless, as is the sand and woods to the right. Swing and pray on this hole, and if you find yourself on the green, be thankful. The 18th hole at University Ridge is another excellent finishing hole. 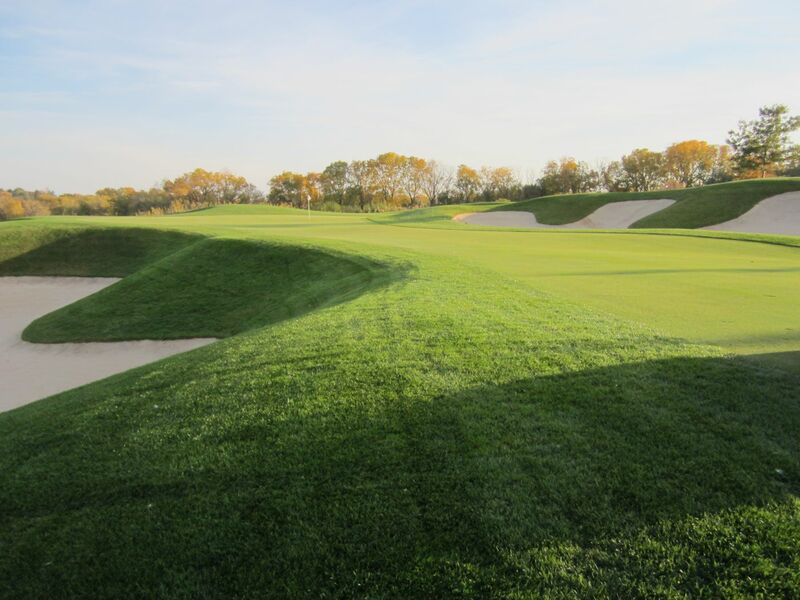 The tee boxes are nestled in a corner that looks out over a driving area that plays a lot longer than it looks. 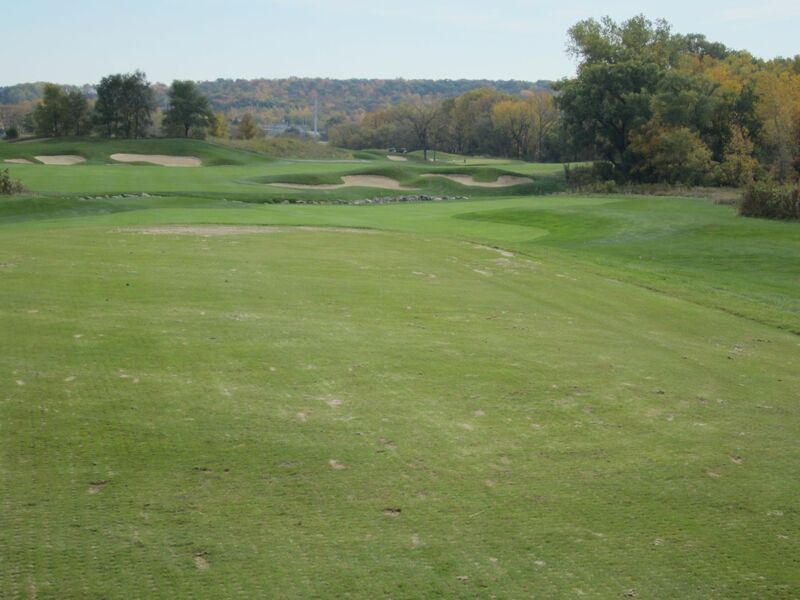 The fairway looks easily reached over the sand traps, but is rarely hit. Playing to the right side of the fairway will set you up best for your second shot uphill, but is rarely played because it looks almost too easy. The only tee shots I have seen on this hole have been aimed over the pre-fairway sand traps, and almost none of them have been played from the fairway. 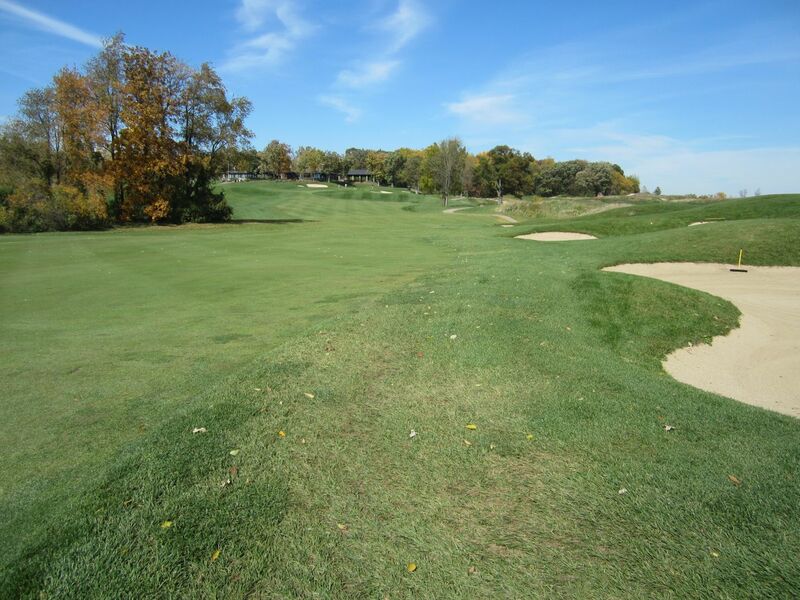 The natural grassland to the left is entangling and difficult to play from if you find your ball at all. Heading left to the green, the approach requires good length, and the green is hellishly quick and uphill. 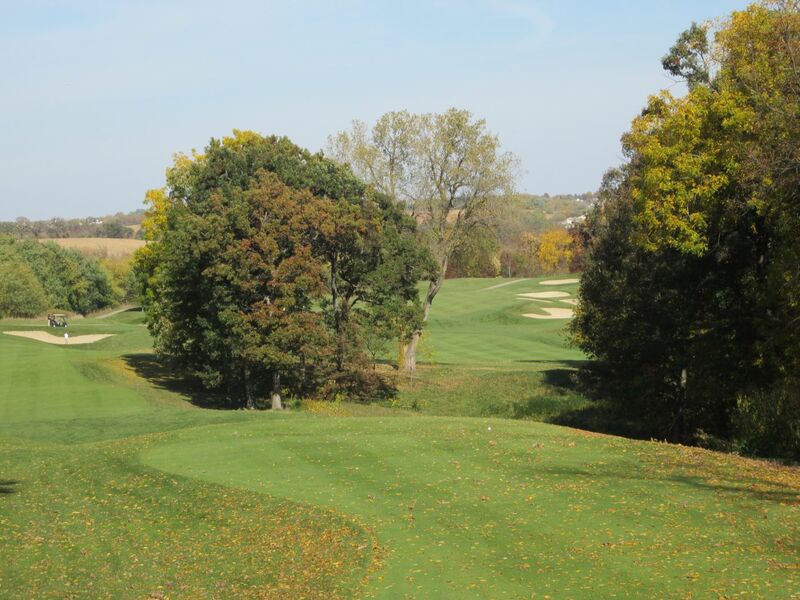 University Ridge is one of the true golf course gems in the state of Wisconsin. It is consistently ranked as one of the top five university courses in the country, and is mentioned anywhere between five and ten in anybody’s list of the top courses statewide. It is easy to see why, and the challenge and playability of U-Ridge always makes for an entertaining day. It is difficult to say what other courses U-Ridge reminds me of. 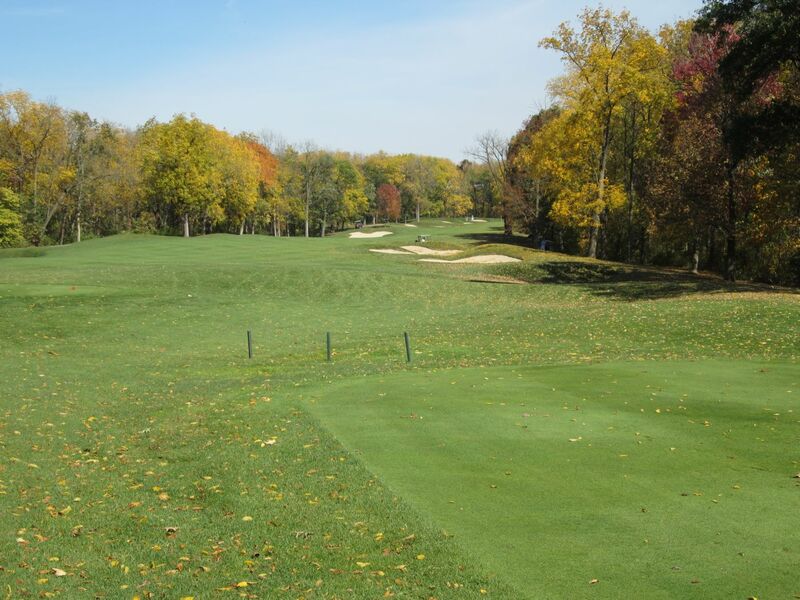 Rarely do you find a course that is so well laid out in both open and wooded areas, and especially so well kept. The closest comparison that comes to mind is a hybrid of The Bull and Blackwolf Run – fantastic company, for sure. Take my advice and clear your schedule the next time “Customer Appreciation Day” at University Ridge rears its head. As a customer, you will feel appreciated.